COCARC is appreciative of the generous support from the Florence community including the West Lane Community Foundation, Elks , Rotarians, the Three Rivers Foundation and the West Lane Translators. 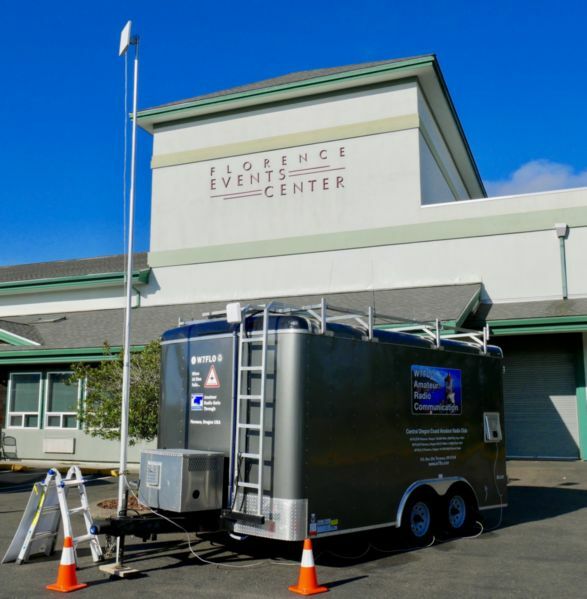 Our ongoing mission, to provide emergency communications for West Lane County. As a benefit of Club membership, members are offered the first opportunity to purchase items for sale. After an initial offering the items are removed from the club site and sold on Ebay. Monies generated for the club are used to support club operations and equipment purchases.Click on the Logo to the left to visit the Club's Ebay listings. Members have the option of an email address on the website. Contact AE7NI@w7flo.com if you are interested. In your email provide the user name you want to use and if you would like email to the account to be forwarded to another account, please provide the email address you would like the account forwarded to. 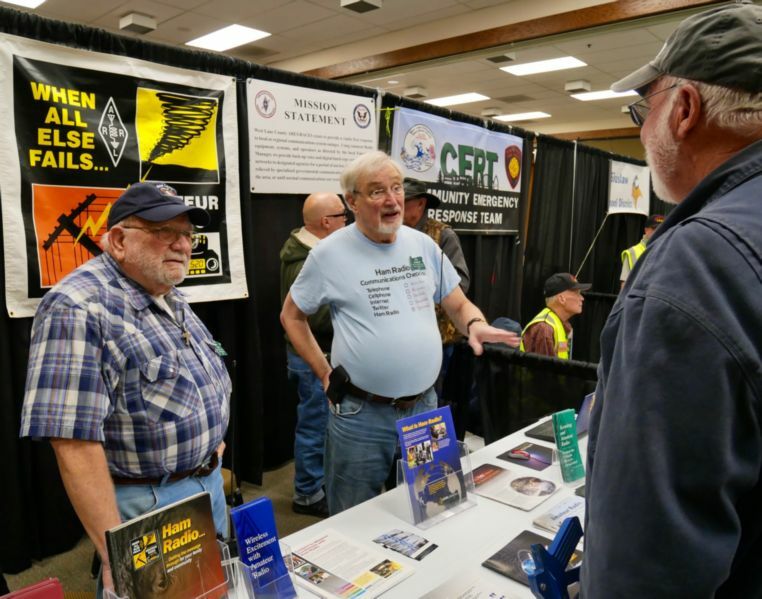 Jim Martin and Bob Pine answer questions at the Club's booth during the Emergency Expo in Florence. Club Communications Trailer in front of the Florence Events Center. We are planning to build some simple 2-meter J-pole antennas. Please RSVP to Jay Guettler, KI7UPY, to make sure we have enough materials for you to build an antenna. Bring your HandyTalkies (HT) and their manuals, and your questions. Sunday afternoon’s from 4-5PM PST. The purpose of this net is to explore and exercise ham radio technologies and techniques, especially those discussed in the monthly Tech Group. on the First Wednesday of each month 0930 A.M.
at the SVFR Main Fire Station, second floor. all amateur stations world wide.